It is not uncommon to feel apprehensive about going to the dentist. If you find yourself feeling anxious about your next treatment, or have a hard time controlling your movements for long periods of time, Dr. David Pousson offers sedation dentistry at his Slidell, LA, office to help you feel comfortable and relaxed during your visit. Many patients neglect their oral care due to anxiety about visiting the dentist, which can often result in the need for more costly, extensive procedures in the future. Proper sedation can allow you to receive the treatments necessary to maintain a healthy smile. We offer two types of sedation to meet our patients' unique needs. Regardless of which type you choose, you will be closely monitored to ensure you remain safe and completely comfortable throughout treatment. 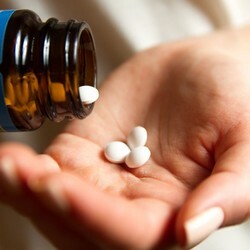 Used in conjunction with a local anesthetic to control pain, oral sedatives include medications such as diazepam. You will be instructed to take the medication either the night before treatment, or 30 minutes to an hour before your procedure. You will need a loved one to drive you home after your treatment, as you may feel drowsy for the remainder of the day. Otherwise known as laughing gas, nitrous oxide is inhaled to achieve relaxation. You will wear a comfortable mask which will continuously provide the right amount of medication, and allow you to communicate with your dentist and follow any instructions. You will also receive pain-relieving local anesthetic. You can drive home after treatment, as the effects wear off quickly. At Pousson Family Dentistry, we only use the safest sedation methods. It is important to remember that you will not be as heavily sedated as you would for a major medical procedure. Instead, you will experience a light nap with no anxiety or uneasy feelings. Our patients consistently tell us that their sedation dentistry experience was vastly better than they expected, and that they prefer to use sedation with all treatments moving forward. If you have a substantial amount of dental work that needs to be addressed, sedation dentistry can allow you to comfortably nap through your treatments, and wake up without remembering the details of your dental procedure. Feeling uneasy about receiving dental care is normal. However, the longer you wait to receive medical treatment, the higher your risk of developing oral health complications. 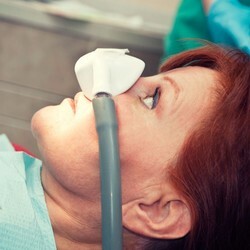 These risks are easily avoidable with sedation dentistry. Dr. Pousson has a reputation for being compassionate and approachable, and along with his friendly staff, he will help you feel at ease. To learn more, or to schedule a consultation, contact our office today. We look forward to meeting you!